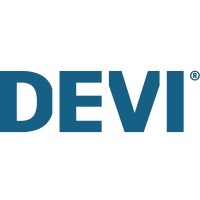 The following steps show how you can remove the connection to a DEVIregTM Smart thermostat from the DEVI Smart App. Access the left side panel of the App. Click [Settings]. Click [Edit room] or [Edit house]. Follow the instructions on the screen on Android. On iPhone/iPad select the pencil in upper right side of the screen, and select the room (thermostat) or house to remove. Select [delete] in the bottom to confirm.